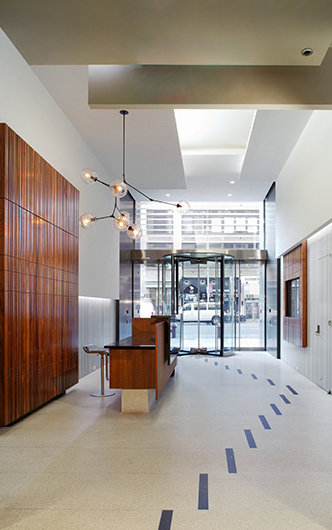 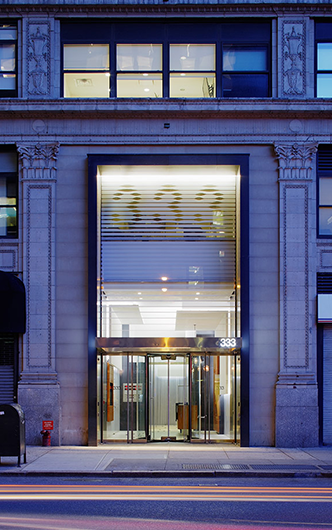 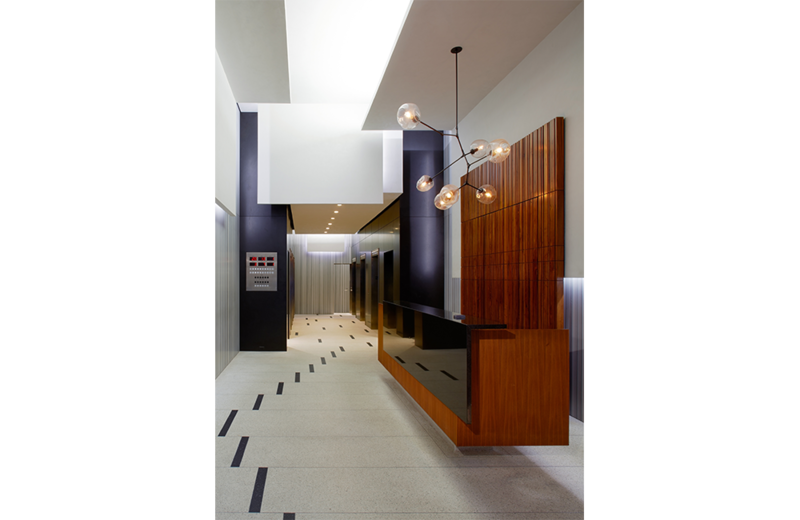 This 7th Avenue lobby renovation, focused on creating a modern face for a 21-story office building built in 1920. 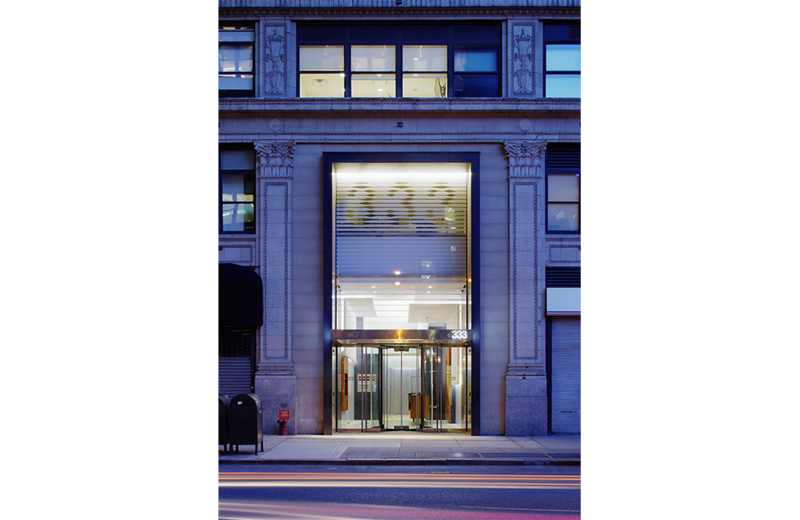 The new facade glazing increases the amount of light in the 850 square foot space and has a varied frit pattern, creating a unique marker for the building and adjusting openness in response to the interior program. 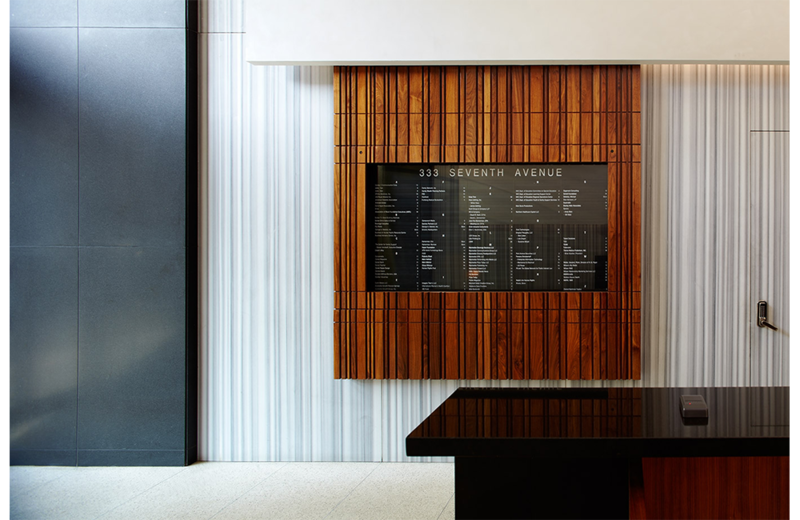 This 7th Avenue lobby renovation, focused on creating a modern face for a 21-story office building built in 1920. 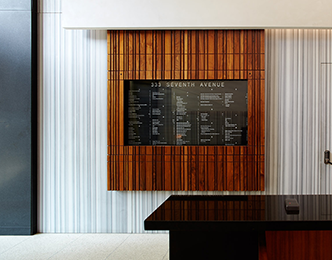 The new facade glazing increases the amount of light in the 850 square foot space and has a varied frit pattern, creating a unique marker for the building and adjusting openness in response to the interior program. 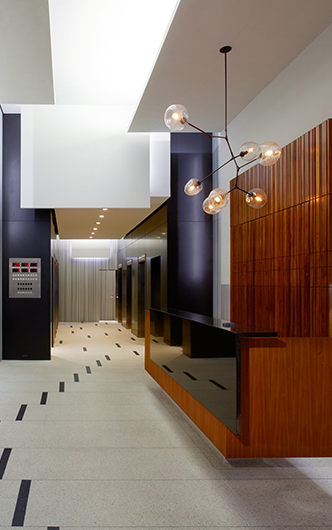 A new revolving door and entrance doors, new interior finishes, and elevator upgrades easily accommodate the lobby's intense traffic. 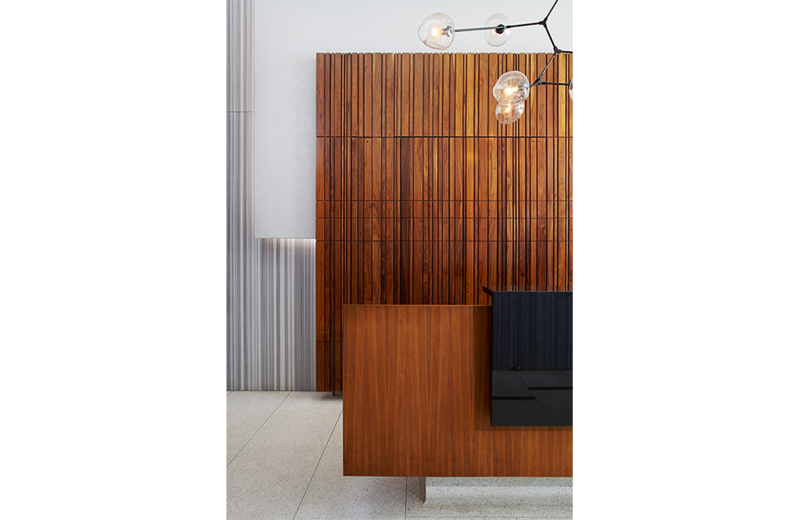 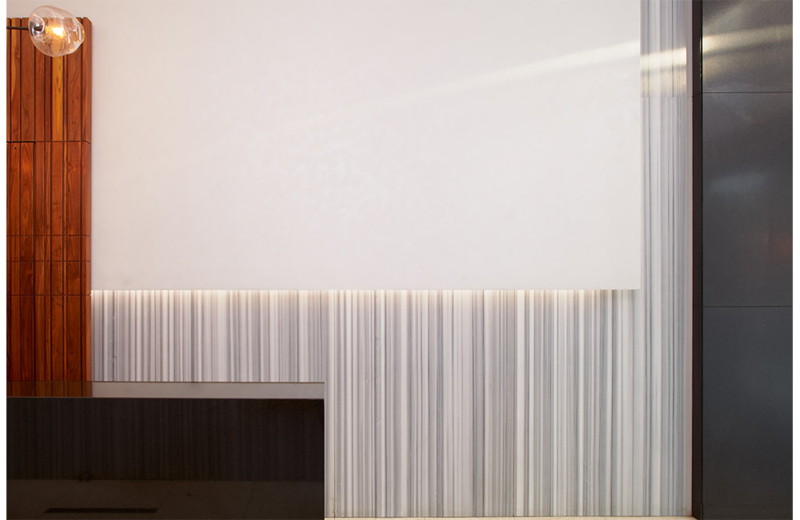 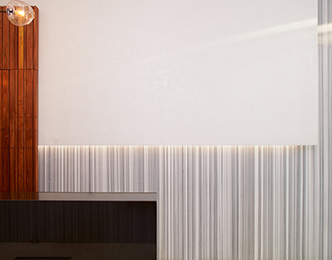 Warmth is created by new light fixtures and a custom-built wood reception desk. 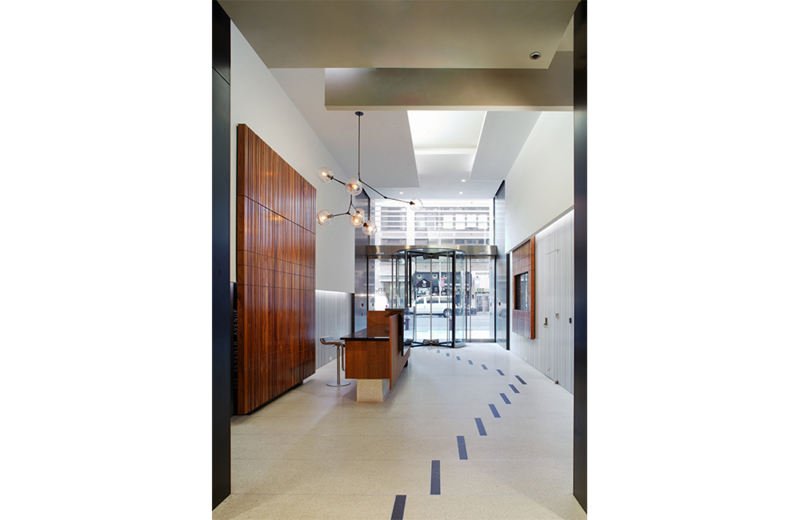 Lastly, building upgrades including HVAC supply, sprinkler heads, signage, and the security system complete the renovation of the space. 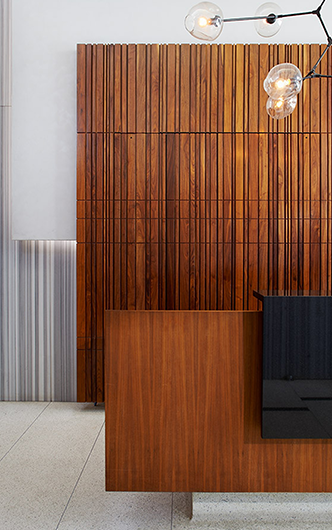 Structural Engineer: H2 Consulting P.E., P.C.